"I am gratified to use the tarot therapeutically since 1995. Each client is a glistening thread woven in an extravagant, luxurious tapestry, and over the last two decades, the beauty of the fabric has been revealed with every stroke of the proverbial loom. I no longer believe in random coincidence. The language of the symbolism of the tarot opens a conversation between us that reveals the quest and solution at once. 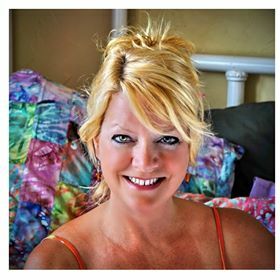 Kim is available for Readings in our Charlevoix store by appointment on most Tuesdays. "This journey through the realm of Spirit, Sacred Symbols and Divine Inspiration has been my joy and honor. I am humbled to be trusted with my clients' concerns and questions and am continually awe-struck at the way in which The Spirits use each of us in this amazing Spiral Dance of Trusting, Experimenting, Awakening and Teaching. " Annie is available for Readings in the Charlevoix store most days by appointment.